​Based on the storybook by trauma and parenting expert Jane Evans, Collar & Cuffs award-winning adaptation incorporates multi-sensory experiences, original songs, and intensive interaction to create a beautiful, accessible and participative experience for children and their grown-ups. The production explores the neuroscience of anxiety and calm, and every performance is followed by a sensory play session demonstrating low cost/no cost resources that can help everyone to regulate their nervous systems. Our aim is to support healthy brain development, attachment, and good mental health for all. Supporting training for early years and school staff is also available. Many of the items in the set have been sourced from the Kalahari region, with others - plus the original songs - inspired by the craft and musical traditions of the San people. Wire puppet-making, movement and vocal workshops are also available for older children. Suitable from birth, the production is only ever presented in a 'relaxed' style to ensure accessibility for very young children as well as those with complex needs, including PMLD. The show is keyword signed in Makaton . Co-produced with Early Years SEN, and funded by MK SOUP. The production is fully self-contained so can be performed virtually anywhere! Available for performances in early years settings, schools, libraries, theatres, shopping centres, festivals, museums, and more. Breathe In, Breathe Out is the key information song from the show. Based on a traditional melody from the San people, the harmonies, pace and tone, plus the inclusion of simple rhythm provided by a djembe drum, supports self-regulation, mindfulness and calm for all. Recorded at Unit 9 Studios, Milton Keynes, April 2018. ​It’s a big day in the Kalahari desert: it’s Little Meerkat’s first day on Lookout Duty. However, once she climbs the Lookout Tree she finds it all a bit overwhelming and falls asleep. 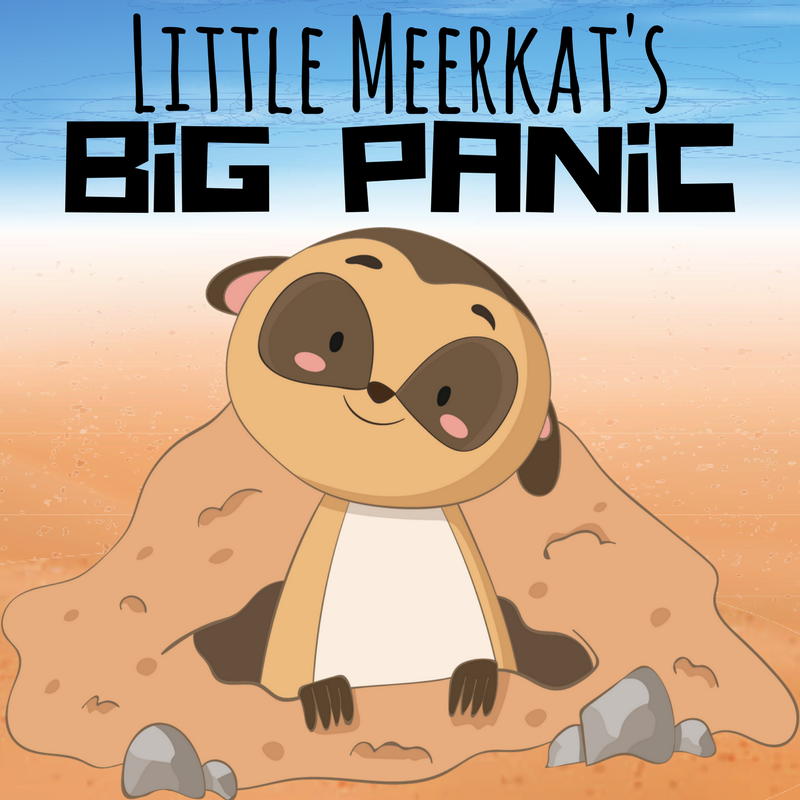 When she wakes, all her meerkat friends and family are gone and a great big panic begins! With help from a Kind Elephant and a Wise Monkey can she learn to feel calmer and find those missing meerkats? This little tale helps everyone to see, hear, smell, taste and feel what's going on in their brains and bodies when emotions become overwhelming. For more information, download our current Tour Pack (for theatres, festivals, and other venues), or download our Booking Pack (for early years settings and schools). You can also download a FREE day planner resource for use with children living with anxiety here. The production is also not-for-profit with surpluses reinvested in developing new work for children, or to support free performances or donations of resources to early years settings in need. "This is a beautiful piece of children's theatre with harmonious & evocative singing, tactile fabrics and clever characters, all of which combine to engage little people in a delightful story, complete with signing. More than merely entertaining, this exceptional, amazing (rightly) award-winning show has been on the road for two years and has brought both delight and hugely valuable lessons...It was remarkable to see how the young people instantly recognised the characters' feelings beneath their behaviour and realised how ineffective panicking is - all revealed through the delightfully acted story"
“That was absolutely brilliant!! Highly recommend ‘Little Meerkat’s Big Panic’ performed by Collar & Cuffs Co at Brighton Fringe. Lovely story with added sensory play at the end. Big win. T thoroughly enjoyed himself, as did I. Definitely baby and toddler friendly! "So impressed by Collar & Cuffs Co and their incredible performance today. My two were absolutely entranced. Such creative storytelling. Some of the best children's theatre around." "We didn't expect to find so much in a show which was relevant to us as a famil​y."